Some of the wildlife in East Africa may be dangerous but, as pretty much anywhere else in the world, one is vastly more likely to be killed in a road accident than by anything else. So I approached the thousands of kilometres of driving involved in our trip with some trepidation. 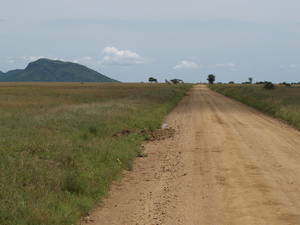 The roads ranged from quite decent — major roads in Kenya and the upgraded sections of the Nairobi-Arusha road — to much poorer — secondary roads, diversions around roadworks, and mere routes. 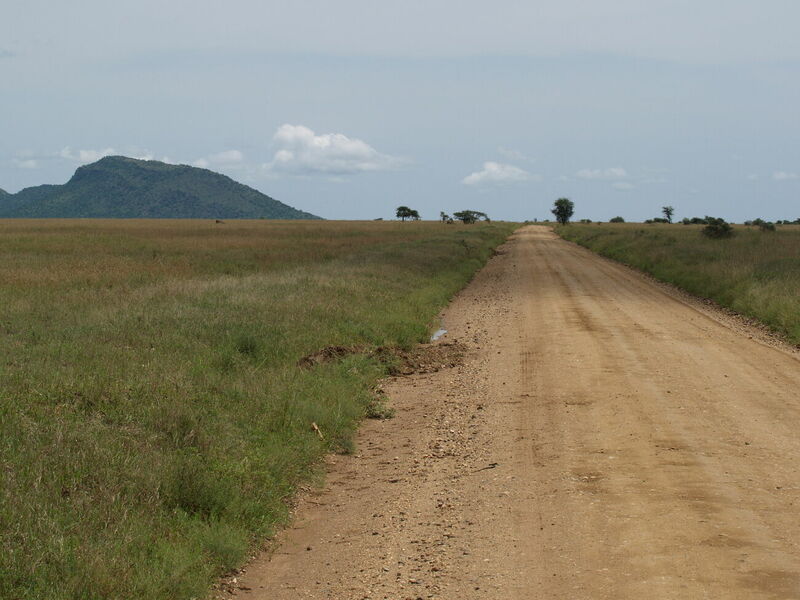 The major roads inside the national parks were quite good, but the lesser-used ones were not always, and after days of rain the Serengeti had occasional patches of mud where we needed four-wheel-drive. Muba handled that with aplomb, seeming to know exactly how the vehicle would slide when it lost traction and planning appropriately. 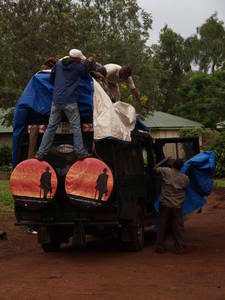 The vehicles in Kenya and Tanzania were very similar: big eight-seater four-wheel-drive safari vehicles, with raiseable roofs. 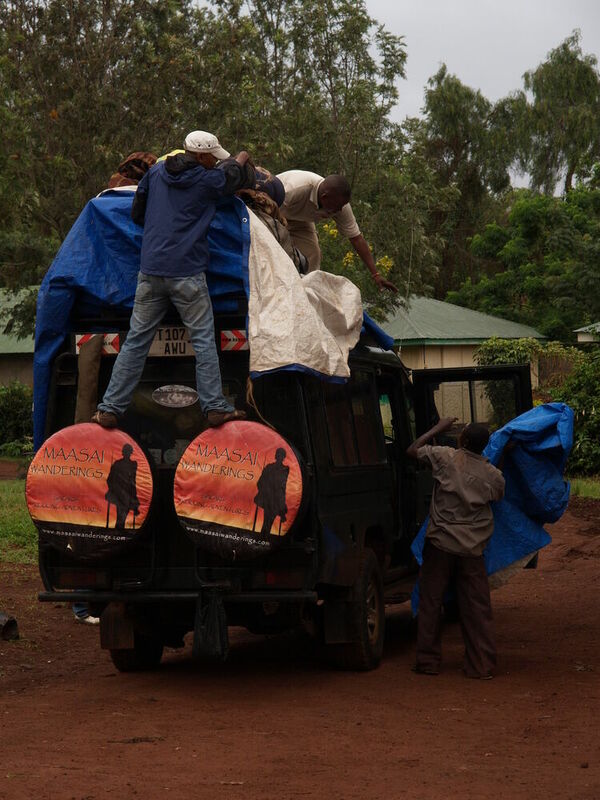 Our Kenyan vehicle had roll-down windows in the back, which worked better for viewing and photography than the horizontally sliding windows on the Tanzanian vehicle, since it gave about twice the open area. With just the two of us on the Kenya tour there was never any problem getting a view, while with five of us in Tanzania it wasn't so easy to move around (and one of the windows wouldn't open) and we had to cooperate more.